It’s been a while since I explored and found a new burger place. My last discovery was Bob Burger, which I blogged and vlogged about. Since then, I’ve been going to my favourites – Bob, OM & Brother John. 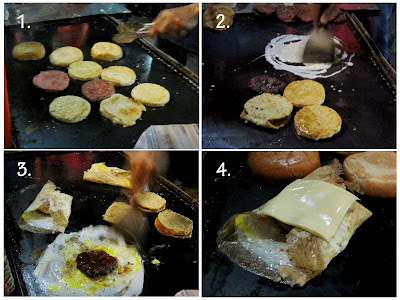 A reader recently suggested that I try his favourite Ramly burger place (he recommended the mutton burger and beef burger) in Pandan Jaya, and attached a map for easier navigation. 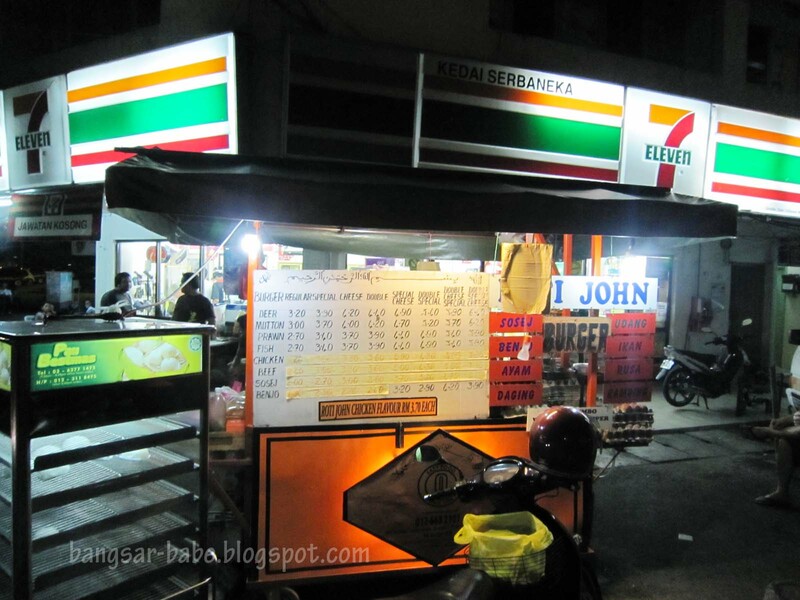 We found the stall pretty easily; it is located outside 7-11 in Pandan Jaya. 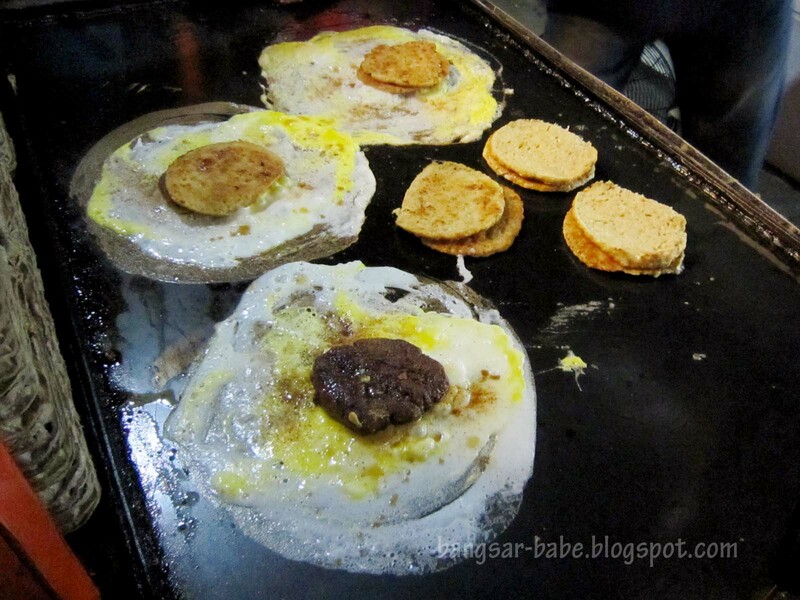 Most of the Ramly burger stall owners I’ve met were friendly, but this guy was pretty reserved. It was difficult striking up a conversation with him. I only got to find out how long he’s been selling burgers – 30 years. And that they are closed on Saturdays. 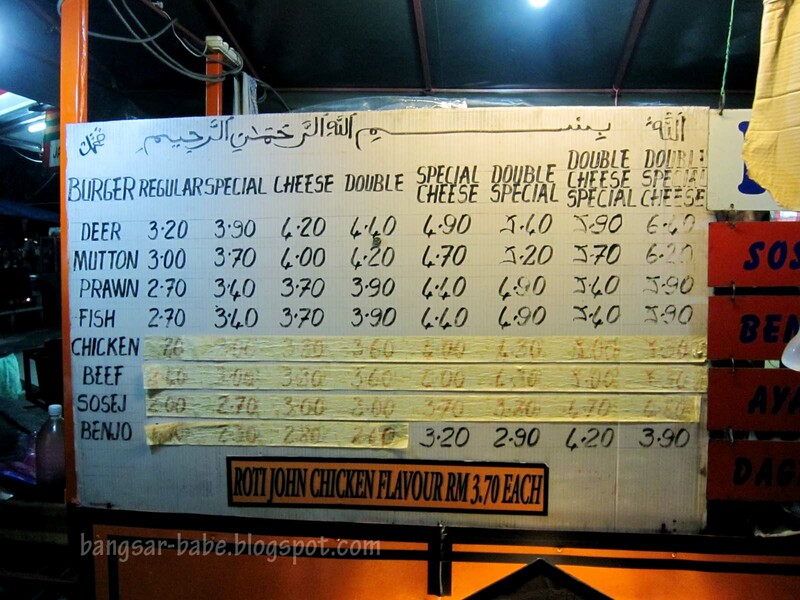 I ordered a mutton special cheese (RM4.70) and chicken special cheese (RM4) for comparison. 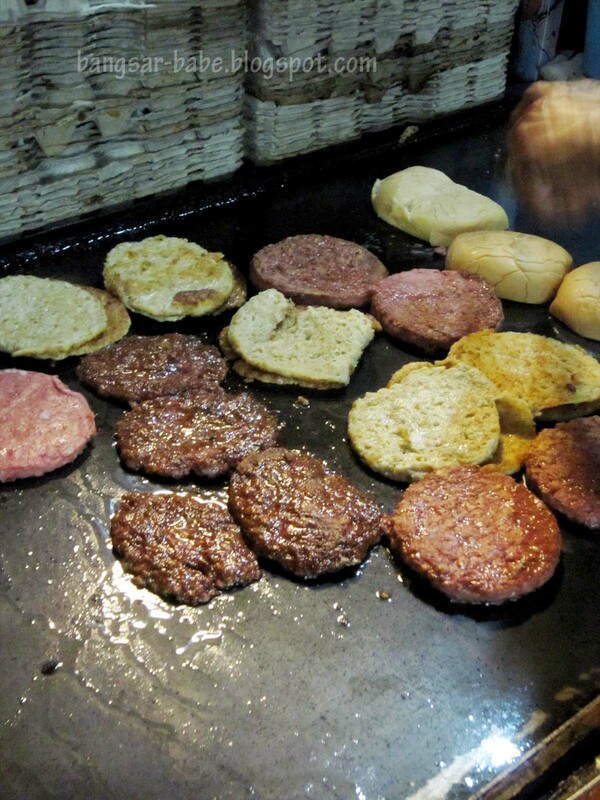 The patties are butterflied, and seasoned with Worchester sauce and black pepper. 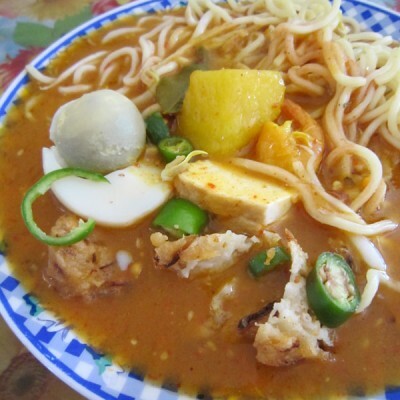 They are then, placed on the egg omelette, topped with dashes of Worchester sauce, black pepper and chilli sauce. 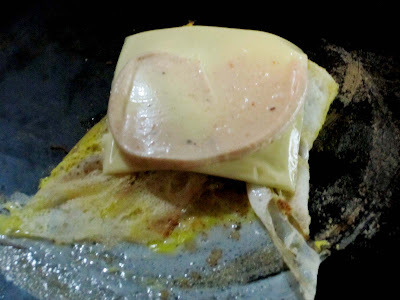 He wraps the omelette over the patty differently. Three sides are folded in, and he places the slice of cheese on top. He then adds a spread of Thousand Island dressing on the cheese before sealing in the patty. The vegetables were pretty standard, comprising lettuce, cucumber slices, tomatoes and onion slices. Less sauces were used to prepare the burger, compared to Bob and OM. For those who can’t stand the greasy, super sinful OM Burger or the ever-sloppy Bob Burger, you might like this. I like my burgers sloppy and rich, so this one didn’t really hit the spot. Both the patties were slightly dry and the lack of sauces didn’t help rectify the problem. 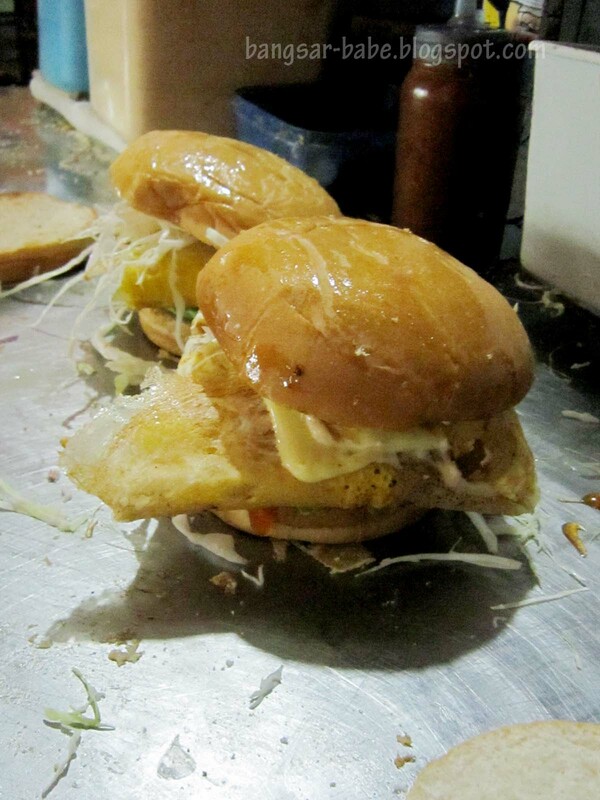 Between the two, I thought the mutton patty was nicer, but it lacked a certain kick. I thought it could do with much more pepper, and maybe some black pepper sauce. The seasoning was too plain. While I didn’t find the burgers great, they were decent. It really is a matter of preference. Like I said, I like my burgers rich. If you’re not one who’s big on greasy goodness, you might like this. Verdict: If you like your street burgers less sloppy, you would probably enjoy the burgers more than I did. t.a.c.a – Exactly my thoughts. I think he didn't want to entertain my questions, so he simple replied. 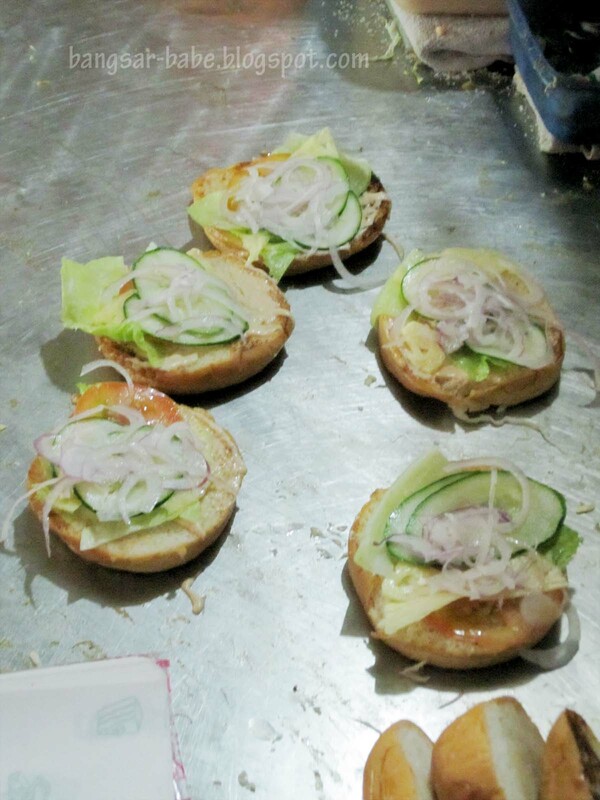 jfook – Looks good, but it's not my kind of burger. Gosh, your post might be a sign that I need to eat a burger ASAP! I was sorely tempted twice, just yesterday … while walking past Burger King in the morning and noticing their poster for an Angus Cheeseburger … Then again at night, while buying DVDs at Sri petaling and getting a sniff of the ramly burgers being cooked outside another 7-11. Sigggh. Facts on Ramly burger website seems to be inconsistent. In the main page, it stated that Ramly Burger was founded in 1984. 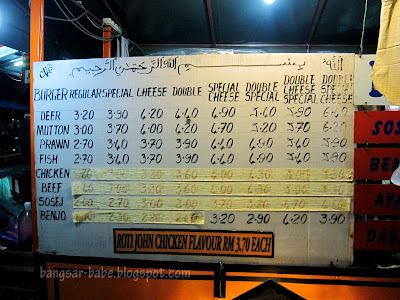 Meanwhile under PRODUCTS, it stated Ramly Chicken Burger was first introduced in Malaysia in 1979 and it was the first chicken product ever produced by Ramly. farah – Until now? But the GPS Coordinates are pretty clear. Try calling Bob. He will guide you there. I dun mind sloppy or not, as long as the combination works wonders and not dry as bark. Sometimes, too sloppy also kinda hard to distinguish the taste of the patty from the overwhelming sauces. J2Kfm – You have a point. But I like that Bob makes his special sauce, so it complements the patty. 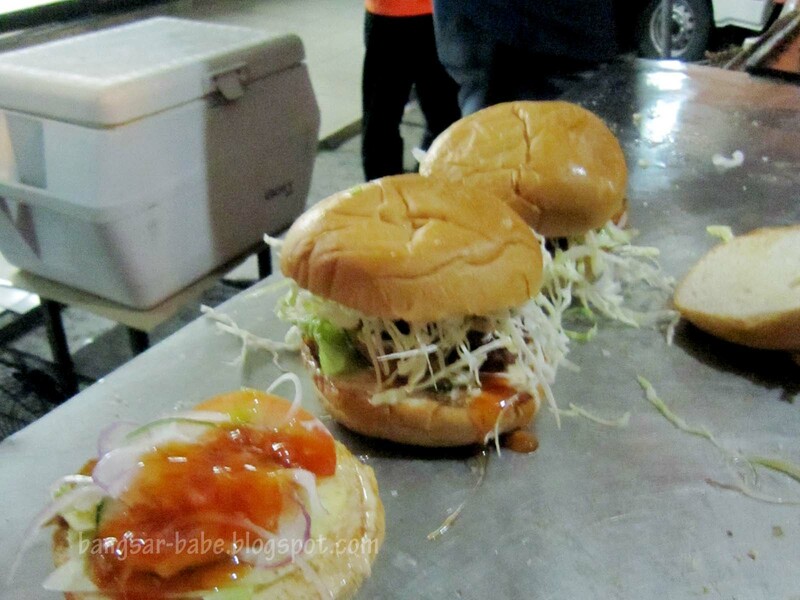 Abang John's burger is by far the neatest of my Top 5. Abdul – Do share a few kebab places if you know any! 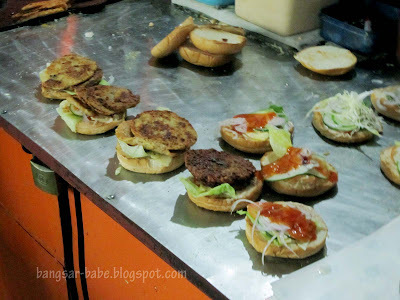 i've read about your top 5 street burger(if im not mistaken). I've tried the number 2 and 3 street burger on the list, in my opinion the no 3 burger is supposed to be the no 2..its far most better than the no 2 burger..
walao weih,i cannot tahan liao…feeling so hungry ryte now…reading ur blog about food..